I joined my cousin, Mary, and her motley crew of adopted friends for a little campout at Rio Grande Village, or RGV as we call it here. It was a wonderful experience meeting all these people, and I look forward to seeing them all again. Enjoy the show. 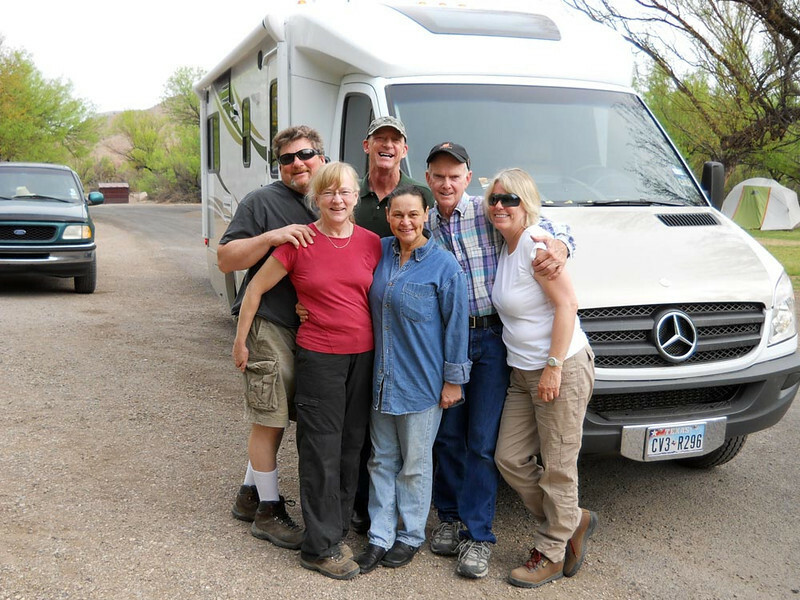 The major players in this little traveling menagerie -- Wayne, Mary, Greg, Lynne, Jerry, and Mev. They all met up in San Angelo, where Greg and Jerry live, and traveled to Ft Davis and the Big Bend area together as one big happy family. I was so glad they invited me to join them at the tail end. Being Spring Break, I had to work.